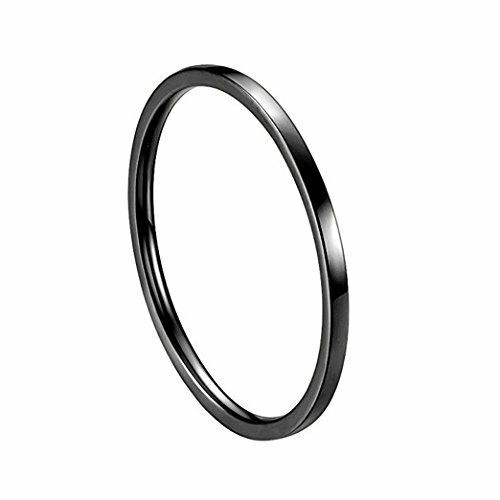 Stainless Steel Mirror Polished Flat Band with Beveled Edge RingCategory: Silver Black Band Steel RingThis classic stainless steel flat band ring features an exquisite beveled edge design with a high-polished finish. Esho Women Men's Stainless Steel Band Biker Unisex Engagement Wedding RingCategory: Silver Black Band Steel RingEsho Unisex 8mm Titanium Men Women Stainless Steel Band Brushed Wedding Ring JewelrySpecification:Width: 8mmFinishing: BrushedColor: Black/Silver/Gold/Rose GoldMaterial: Stainless Steel, Water/Oil ProofAvailable size: 5/6/7/8/9/10/11/12/13/14Size Chart:Size--------------Inside Diameter-------------Inside Circunference5-----------15.7mm/0.61"-----------------49.32mm/1.94"6-----------16.51mm/0.65"----------------51.87mm/2.04"7-----------17.35mm/0.68"----------------54.51mm/2.15"8-----------18.19mm/0.71"----------------57.15mm/2.25"9-----------18.89mm/0.74"----------------59.34mm/2.35"10----------19.84mm/0.78"----------------62.33mm/2.45"11----------20.68mm/0.81"----------------64.97mm/2.56"12----------21.49mm/0.84"----------------67.51mm/2.66"Item Includes: 1 Pcs RingNote:1 inch=2.54cmPlease allow 1-3 cm difference due to manual measurement.Due to the screen difference, please understand that colors may be slightly different from what you expect. Men's Black IP Stainless Steel Grooved Wedding Band - Mens RingCategory: Silver Black Band Steel RingThis simple, but fashionable ring is the perfect accessory to add a touch of style to any outfit. 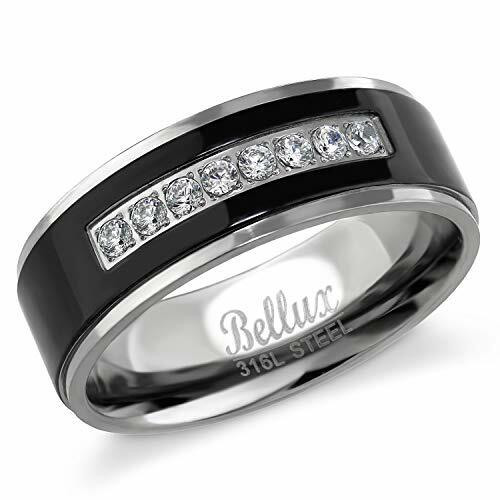 The black stainless steel brings a hint of edge to this ring. Men’s black and Blue IP Stainless Steel wedding ring bandCategory: Silver Black Band Steel RingCelebrate your dedication with our Men’s black and Blue IP Stainless Steel wedding ring band. 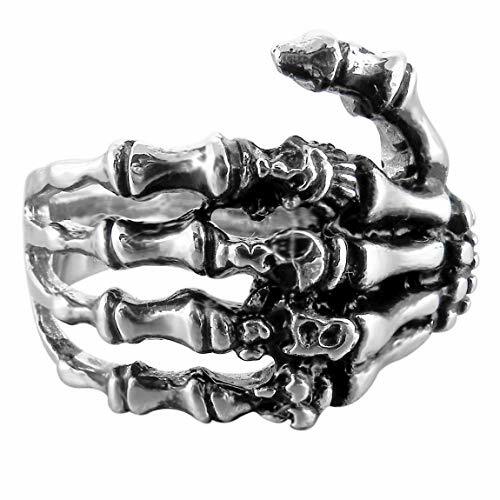 This tarnish resistant, hypo-allergenic ring offers an alternative to your everyday style. This band features a multi-tone color design, with black IP plating, a blue center line, and a silver inside. The band has a brush finish for added texture and design. The interior of this band is smoothly rounded, providing a perfect comfort fit, so it won’t get in the way when you’re on the go. 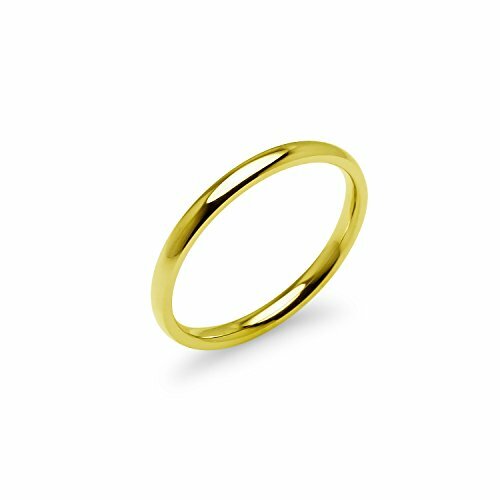 Whether you’re wearing this daily as a wedding band, or a fashionable statement ring, this will become an instant classic for any jewelry collection. A unique blend of weight, durability, and fashion, makes this an ideal choice for any occasion, whether that’s dressing up for a night out, or for a regular day at work, you can wear this with confidence. Men's Stainless Steel 8MM Black and Gold Carbon Fiber Wedding Band - Mens RingCategory: Silver Black Band Steel RingThis stainless steel band features black and gold carbon fiber. Mens Religious Maltase Fleur De Lis Cross Black Puzzle Wedding Band Ring For Men Silver Tone Stainless SteelCategory: Silver Black Band Steel RingSimple in its design, yet powerful in its meaning, our fleur de lis cross ring is a winner. 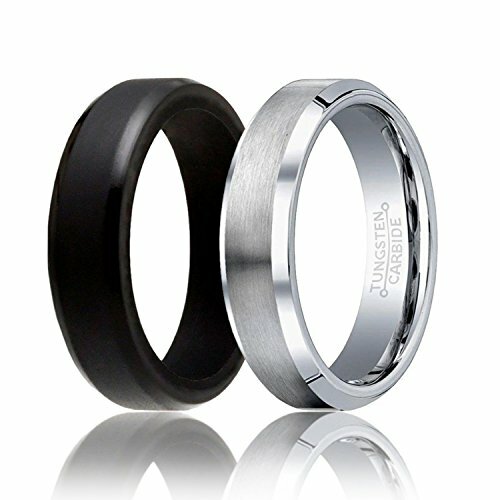 At a very comfortable 7mm in width, our lightweight, two toned black stainless steel mens ring will prove delightful to wear. It features a curved design. The pattern is shown on both the outside and on the inside of the band. 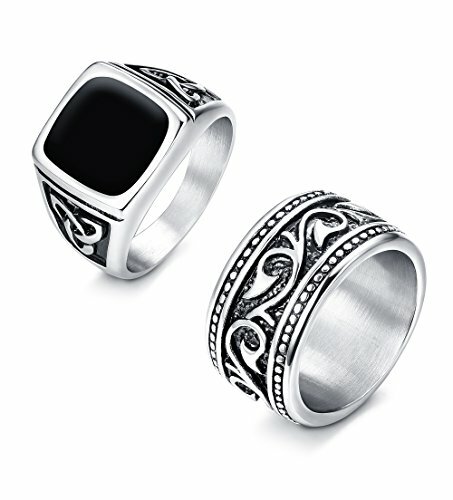 Wearing a new piece of black stainless steel jewelry is a very fashionable way to show your faith. The three petals on our stainless steel mens cross band have been used over the years to represent the Holy Trinity. Buy this for yourself or for a friend who wears cross jewelry and help show your faith in style. Stainless steel puzzle rings for men are a perfect and very affordable gift to give to the recent graduate in your life, as he moves into the next phase in his life. Order yours today. Religious Padre Nuestro Lords Pray Cross Black Spinner Band Ring For Men For Women Silver Tone Edge Stainless SteelCategory: Silver Black Band Steel RingOur black stainless steel spinner ring blends elegance and contemporary fashion beautifully. It is a perfect gift for yourself or for that special person in your life who wears religious jewelry. Our lightweight padre nuestro ring features the comforting words of the Lords prayer in Spanish. The black inner band with the words of the Lords prayer etched on it spins easily inside the outer band which features geometric, angled edges. The combination of the two toned color on the mens cross band ring is eye catching. There is a crucifix resting in the middle of the prayer. It is hypoallergenic and will prove very comfortable to wear at only 8mm in width. At this very affordable price, you may want to think about ordering one for a friend who wears religious jewelry when you place your order today. It makes a perfect gift idea for affordable and meaningful Easter jewelry or Christmas jewelry to give to someone you love. Lex & Lu 3mm High Polish Stainless Steel Comfort Fit Wedding Band Ring Size 3-12Category: Silver Black Band Steel RingLex & Lu 3mm High Polish Stainless Steel Comfort Fit Wedding Band Ring Size 3-12316L Stainless Steel 3mm High Polish Comfort Fit Wedding Band Ring Men and Woman Size 5-12. We use the highest quality 316L stainless steel along with a high polish to make these band look stunning to wear. 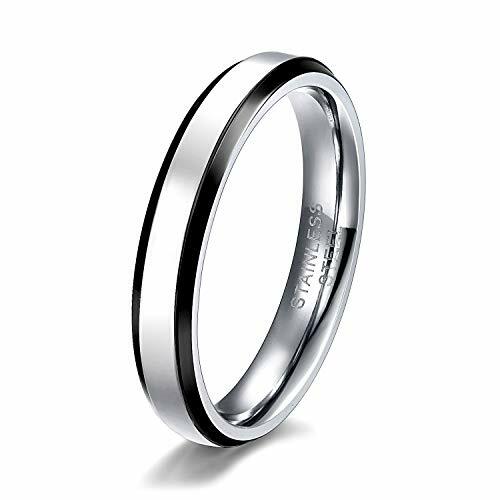 Men's Stainless Steel Slash Pattern Wedding Band - Mens RingCategory: Silver Black Band Steel RingThis simple, but fashionable ring is the perfect accessory to add a touch of style to any outfit. 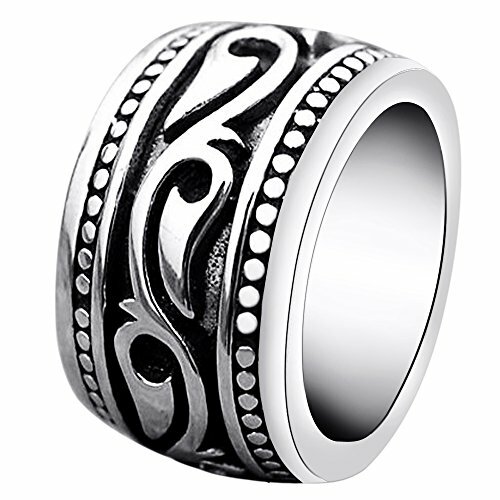 The stainless steel brings a hint of shine to this ring. Men's Cubic Zirconia Brushed Stainless Steel Band Ring (7mm)Category: Silver Black Band Steel RingEnjoy the masculine look of this stainless steel men's ring. 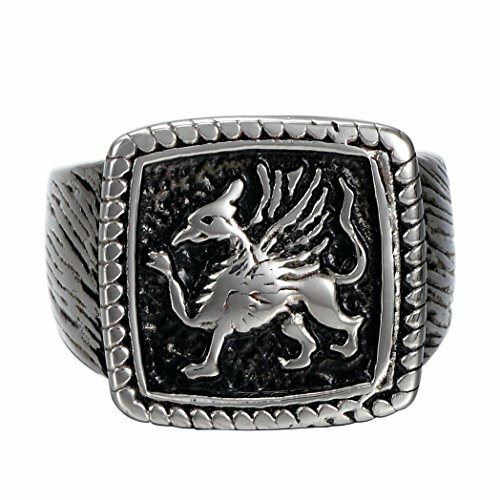 This ring is made of sturdy stainless steel with a satin finish. 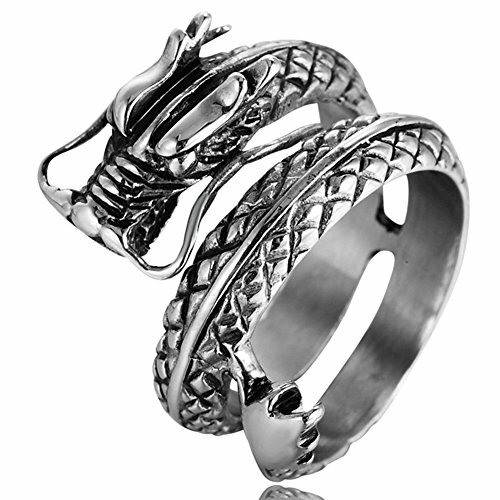 It makes a great wedding band or a stylish accessory, for everyday wear. Men's Stainless Steel 8MM Rose Gold IP on Carbon Fiber Inlay Wedding Band – Mens RingCategory: Silver Black Band Steel RingThis stainless steel band features carbon fiber with rose IP inlay. HIS & HER 4PC BLACK & SILVER STAINLESS STEEL & TITANIUM WEDDING RING Band SET Size Women's 10 Men's 05Category: Silver Black Band Steel RingMen's Ring Men's or Women's two-tone solid titanium comfort fit wedding band. Features 9 round brilliant cut Cubic Zirconia stones secured in a pave setting. Top quality stones display amazing enriched clarity! Interior of band is slightly rounded to provide a comfortable fit for daily wear. Made of solid titanium with high quality black ion plated center for years of carefree wear. Solid titanium jewelry is durable and lightweight.